Click here to enable IPv6 on your computer. In order to communicate over the Internet, computers and other devices must have sender and receiver addresses. These numeric addresses are known as Internet Protocol addresses or IP addresses in short. The presently popular version is the IP version 4 or IPv4. But due to the huge penetration of Internet and handheld devices, all the available IPv4 addresses got exhausted. IPv6 is the Internet's next-generation protocol, designed to replace the current Internet Protocol, IP Version 4. What is the advantage of using v6 addresses? IPv6 allows more users and devices to communicate on the Internet by using bigger numbers to create IP addresses. Under IPv4, every IP address is 32 bits long, which allows 4.3 billion unique addresses. In comparison, IPv6 addresses are 128 bits, which allow for approximately three hundred and forty trillion, trillion unique IP addresses. Can I use IPv4 & v6 addresses together? Yes. For the time being, internet will work on both v4 & v6 addresses. Asianet provides its customers with both IPv4 and IPv6 addresses simultaneously. This method called “dual-stacking” allows the users to use both the v4 and v6 IP addresses simultaneously. So, if a website is not accessible via IPv6 address?? Do not worry. Your computer will automatically switch to the websites IPv4 address and will allow you to continue browsing. How can I enable IPv6 on my computer? 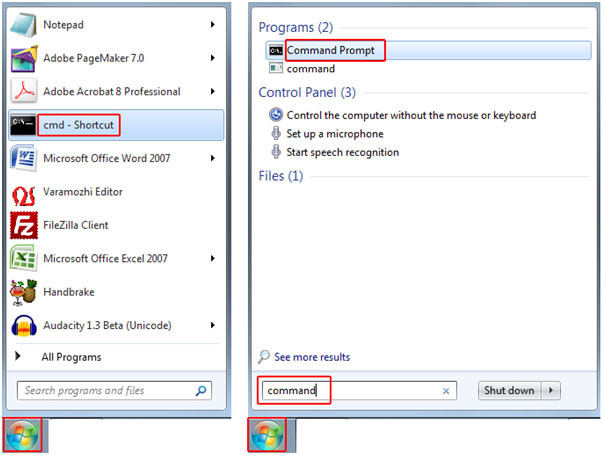 Click here for details on how to enable your computer to use both IPv4 and IPv6 addresses. Does my cable modem support IPv6? Does my Home router support IPv6? All the latest models of Home WiFi routers (released after 2011) should support IPv6. But you will have to check this out with your hardware vendor. We recommend that you upgrade your Home routers to the latest IPv6 supported models. Not only that they will support IPv6, but it will also provide you higher WiFi bandwidth which will help you leverage the high speed of your internet connection. How can I check my v6 IP address? or 1. 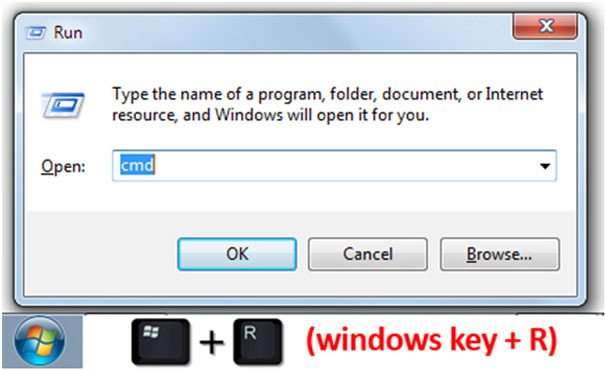 Open Run box by pressing Windows key + R. Then type ‘command’ or ‘cmd’ then click OK. The result will show you the IP addresses & details of your local / internet connection.